Kaplan has notified customers whose product was shipped during the above periods. Under the guidance of the CPSC, Panelcraft began the process of contacting affected Kaplan customers and replacing recalled building sets free of charge in March 2017. However, if a customer believes they still have a recalled building set they should immediately stop using it and take it away from children. Customers should contact Panelcraft directly to receive a prepaid shipping label for returning the recalled sets and for a free replacement set. Contact information is included in the complete recall notice available online at https://cpsc.gov/Recalls/2017/panelcraft-recalls-childrens-building-sets. Please note that not every Oball™ Rattle sold by Kaplan is included in this recall. Only rattles with date codes T0486, T1456, T2316, T2856 and T3065 located on a small triangle on the inner surface of the rattle are included. Kaplan items shipped during the period 3/3/2016 through 3/2/2017 potentially include the manufacture date codes included in the recall. Kaplan customers are to contact Kids II directly for instructions on obtaining a refund. Contact information is included in the recall notice available online https://www.cpsc.gov/Recalls/2017/kids-ii-recalls-oball-rattles. Kaplan Item #27915 Light Cubes shipped from 1/9/2014 to 8/24/2016 are included in this recall. Kaplan customers are to contact Roylco directly for instructions on returning the light cube(s) for a free replacement light source. Contact information is included in the recall notice available online at https://www.cpsc.gov/Recalls/2016/roylco-recalls-educational-light-cubes. Kaplan items shipped 8/25/2016 and later were manufactured with the improved light source and are not being recalled. If you have purchased one of the glider rockers listed below during the specified time, the rocker may be subject to the Brooks Furniture Glider Rocker Recall for product manufactured between 1/1/2011 and 12/31/2012. Like many of you, I am a parent and I care deeply about the safety of children. And I, like you, have been concerned by events of recent weeks that have thrust the issue of toy safety into national focus. I can assure you that ensuring product safety is at the heart of the long-standing trust Kaplan Early Learning Company has built with customers for more than 35 years. Kaplan carries some of the world's best known and most trusted brands, which are manufactured all over the world. We routinely monitor all communications from the Consumer Product Safety Commission for information on problems with products in our market. 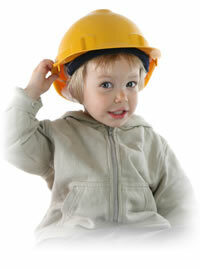 When it comes to the safety of your children, we believe the standards can never be set too high. We require all suppliers and business partners who manufacture products for us to meet rigorous standards for safety, quality and overall integrity. Our vendors take this matter very seriously. They understand that they must adhere to our strict requirements, which meet or exceed industry and federal safety standards – or we won't carry their products. On behalf of the entire Kaplan Early Learning Company family, please rest assured that we will all continue to do everything we can to make the safety of the children who play with our products a priority.